I've forgotten where this info came from. Sorry! Edited by yours truly (contact me). The image came from Sasami Gallery. She is one of the more emotionally stable members of the Tenchi gang and thinks of Tenchi as a brother. Often seen with Ryo-Ohki on her head. She often takes up the cooking chores and is very good at it. She originally died but in order to save her Tsunami merged with her (she will look like Tsunami when she is older). Sprightly and a joy to be with, Sasami almost always has a cheerful disposition, and yet she has more sense in the Masaki household than everyone else save for Washu. She loves to cook, and she's quite good at it, too. Sasami thinks of Tenchi like a big brother (though she may have some romantic feelings, too), and she's made an instant bond with Ryo-ohki. They're almost always together. In the OVA series, Sasami had suffered a childhood accident and nearly died. To save her, Tsunami (the oldest of the great trees of Jurai and the source of the Juraian power) merged with Sasami, in the process altering Sasami's appearance to what you see now. 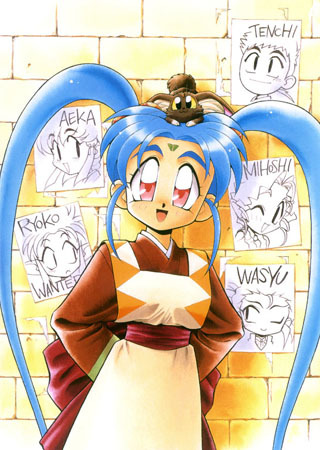 Later, Sasami traveled with Ayeka in search of Yoshó. 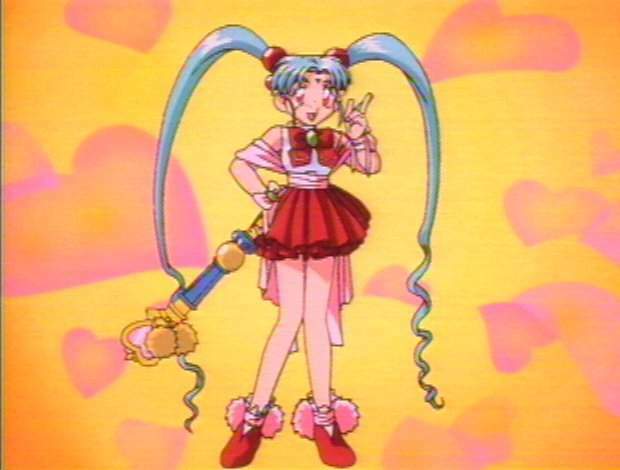 Mihoshi's side story presents an alternate identity for Sasami, that of Magical Girl Pretty Sammy (a take on the magical girl genre). Tenchi Muyó fans loved the idea, and it was later extended so that this alter ego would also make an appearance in Episode 12 of the Tenchi Muyó TV series. The idea of the alternate universe of episode 12 stuck, and Sasami has become the star of her own spinoff OVA and TV series called Magical Girl Pretty Sammy. The above description came from Who Wants to Know? and Trishna, and was edited by yours truly (contact me).